More YA memoirs, please! 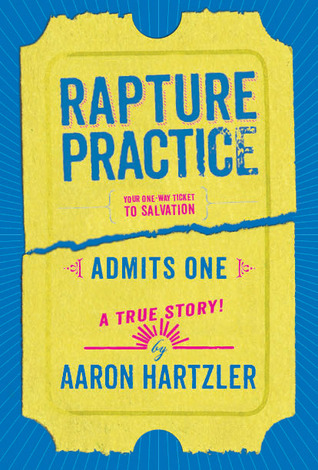 Aaron Hartzler's true story about growing up in a very religious household and questioning his faith is one that will hit the right notes with many teens. I really enjoyed reading Aaron's humorous and frank memoir and I hope he'll continue writing because I want to find out what happens to him next...! Still going strong (my book-choosing mojo is with me this year; everything I've read has been awesome!) and going to read as much as I can until my time ends at 7pm.